Alongside the democracy review, conference will debate rule changes that would replace trigger ballots for Labour MPs with “open selections” where any member can put themselves forward on an equal footing. Most of the talk has been about principles. Here I will focus on the practical consequences for electing Labour to government. Currently sitting MPs are reselected if they receive more than half the nominations of local party and affiliate branches. These trigger ballots cost virtually nothing and can be included within regular branch and executive meetings. They are quick, simple and rarely require regional intervention. Importantly, they allow members to call for a full selection if they wish. A trigger ballot does not guarantee a job for life. Selections in unpromising seats take more time, but with relatively few applicants a light-touch approach is usually sufficient for members to select a local activist or a rising star. They will become more onerous if constituencies have to follow the procedure for early selections, where a special general committee or all-member meeting must first be convened to elect the selection committee, but hopefully the NEC will streamline the process. However it is target seats and retirement seats that consume the lion’s share of time, money and energy. For constituency parties the cost of meetings, hustings, postal votes and ballots runs to thousands of pounds. That is a lot of leaflets. The process places huge burdens on hard-pressed secretaries, stretches over months during which other activity is sidelined, and may require four or five visits from the regional officer and the NEC representative, plus 24/7 on-call support to deal with issues and complaints. Because of limited staff and lay member resources, selections must be staggered, and it has taken a year to choose around 100 candidates in the target marginals. Open selections for all Labour seats would add another 250, with contests even keener, and potentially more acrimonious, as the prize is greater. One amendment even proposes holding all of these between 36 months and 48 months after a general election. Unless the numbers of regional staff and NEC representatives are tripled, selections could not actually be completed until 2024, and that is without the additional complications if the boundary review goes through. Some changes to trigger ballots are needed. At the moment, a branch of an affiliated organisation with one member in the constituency, paying £6, carries the same weight as a party branch with 200 members paying £50 each. Some unions affiliate multiple branches – up to 26 or more – giving them the power to outvote the entire local membership. An electoral college would be fairer, with sitting MPs requiring affirmative nominations from half the party branches and half the affiliated branches. One proposed amendment would set the threshold at two-thirds of branches in each section, and this is at least worthy of debate. The others are a dangerous distraction. 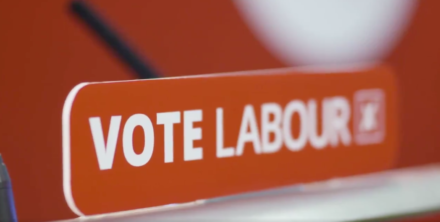 Mandatory reselection is not the way to elect a Labour government, and neither is censuring MPs with majorities of less than 200 or passing motions of no confidence. Instead we should prioritise asking our half a million members to reach outward to the 15 million voters without whom Jeremy Corbyn cannot become Prime Minister, campaigning on jobs, homes, pensions, schools and healthcare. That is surely where our money, our energy and our time should be concentrated. Ann Black is a Labour NEC constituency representative.